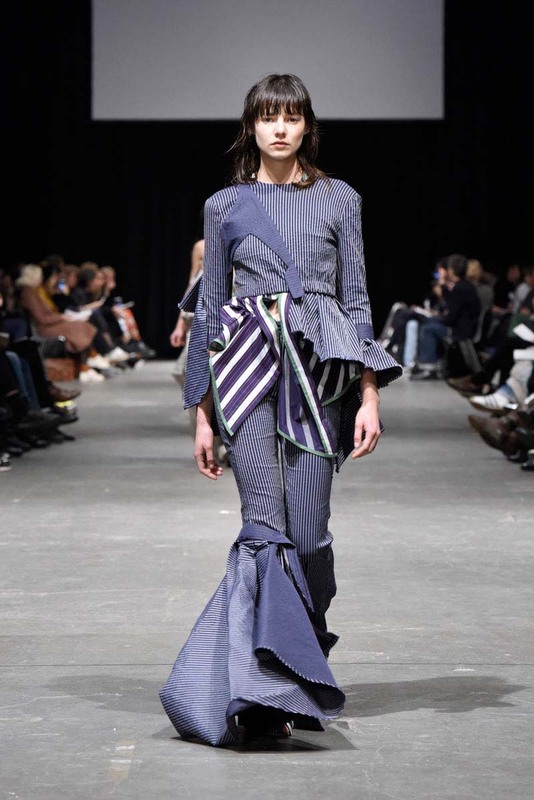 Earlier this month, Seefashion returned to Berlin’s impressive Motorwerk for the annual graduates’ show. 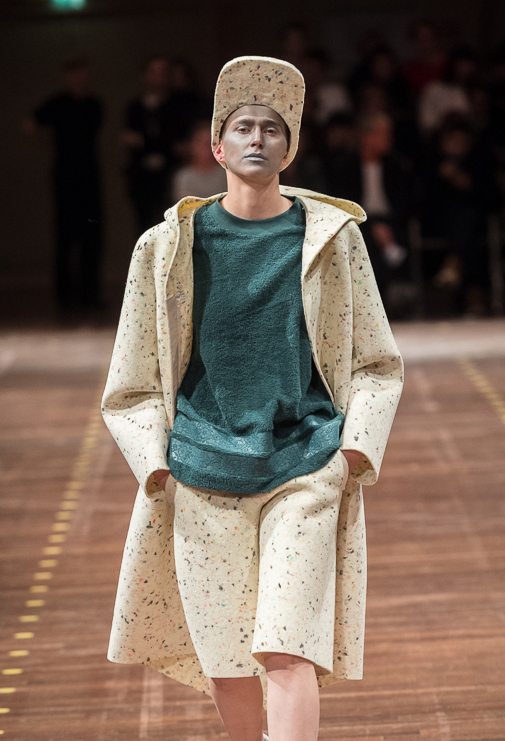 Students of Weisenßee art school showcased an eclectic array of collections spanning from boxy tailoring to draped dresses. Here’s what you need to know! Wadewitz opened the Seefashion17 show with her MA collection ‘Präripherie’. Bold 60’s silk dresses and western denim created a strong stylistic signature. The collection was both fun and feminine including beautifully tailored jackets, and fierce pointed boots that didn’t go unnoticed. Bondy’s MA collection pivoted around themes of childhood nostalgia. 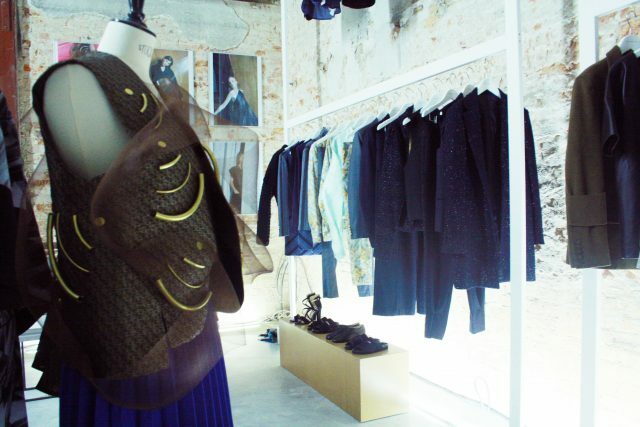 Garments were covered in immaculate appliqué details reminiscent of Ann Demeulemeester’s (Bondy’s former internship mentor) couture techniques, embellished with sequins, beads, feathers, and paired with light tulle. Bondy also collaborated with Elizaveta Porodina & Josef Beyer to create a beautiful editorial for the collection that truly represented the dreamlike vibes of this upcoming designer’s garments. 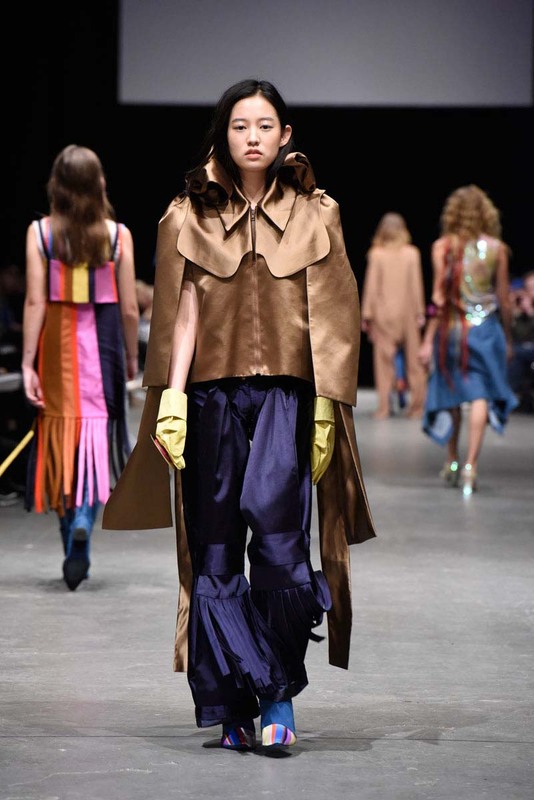 Lina Phyllis Falkner’s MA collection presented elegant drapings and fabric manipulations. Her confections were beautifully executed and demonstrated impressive technical skills and attention to detail. 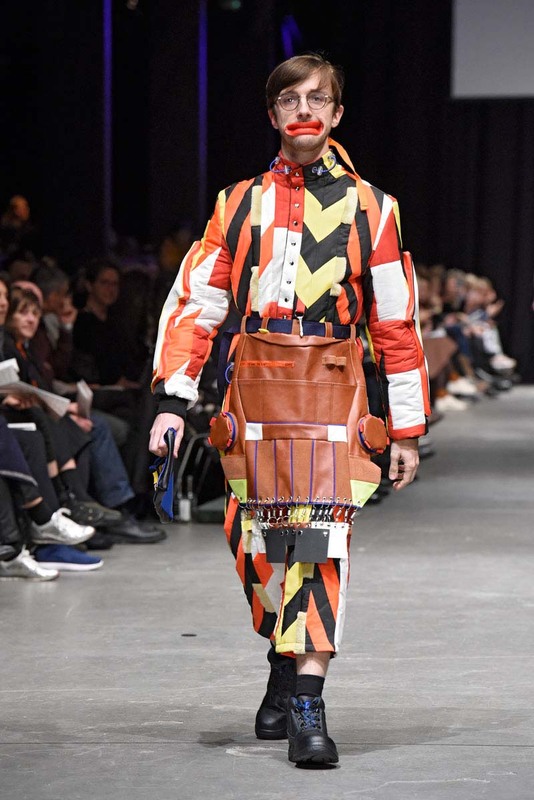 Œ was particularly drawn to the selection of candy striped and burnt orange fabrics, enhancing the unique fluent silhouettes. 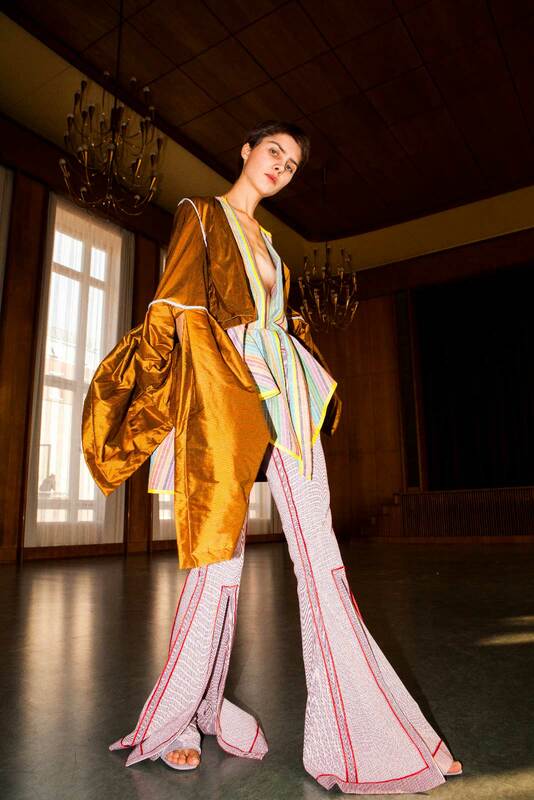 Miottke was a “Weißensee debut” and certainly the evening’s highlight: her playful concept was both tasteful and witty, and the resulting menswear collection dominated by neon workwear. 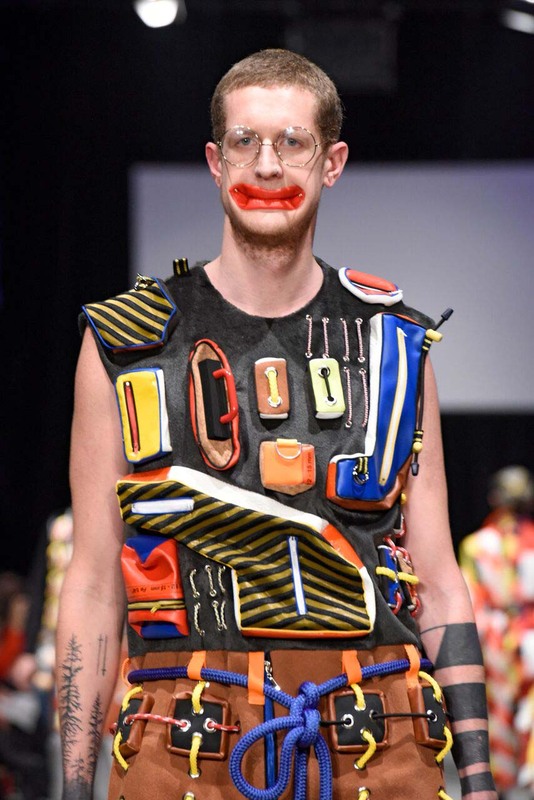 Models were styled with sinister smiling mouth gear and froze at the end of the catwalk to face the front row. 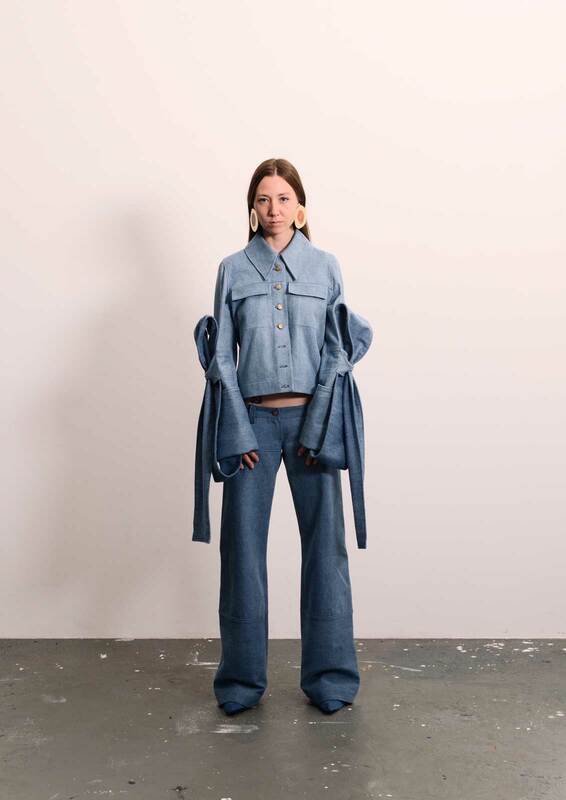 Overall the numerous details of the collection were of high standards and we can’t wait to see what the future holds for this promising young designer! Schulze’s MA project caught our attention immediately with its extravagant showcase of headpieces and masks. “Put me back together again” was inspired by the deconstruction and reconstruction of garments, creating a unique and impactful selection of looks. 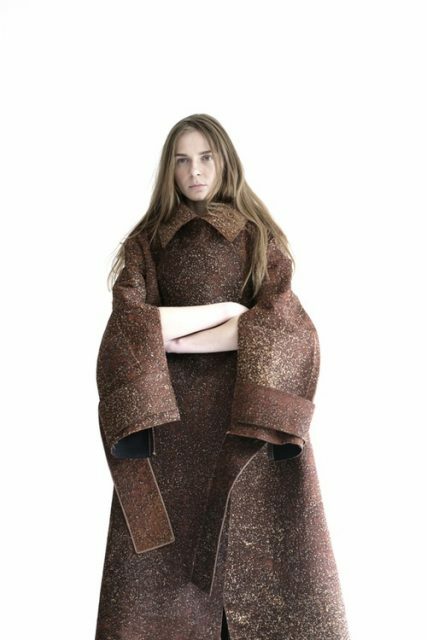 Schulze’s incorporated intricate knitwear and crochet elements into his garments to create in depth layering. The collection was elegant and impressively crafted. This BA collection was inspired by tying and looping methods. Buttoned and knotted fixtures added interesting fastenings and features to the garments, while checked fabrics and a muted color palette reminded us of chic Burberry moods. The collection’s starting point was the ephemeral process of decay and inevitability of deterioration. In an aid to capture the beauty of natural objects before their decomposition Weber froze flowers and immersed them into silicone. 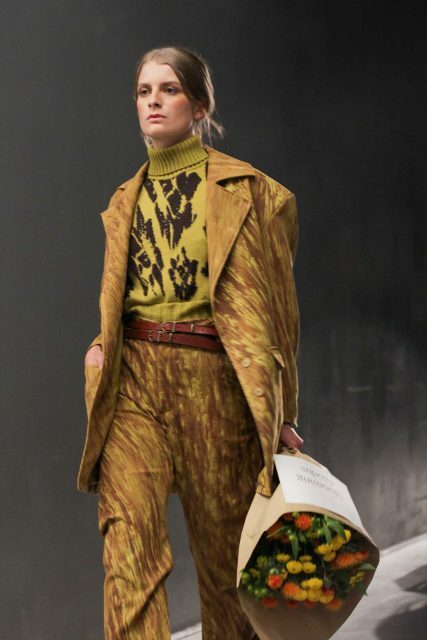 Unconventional floral prints were also incorporated into the collection through a collaboration with Berlin based floral artist Anatomie Fleur and Hannah Herzberg. The colour palette ranged from dusty greens, soft pastels, to dark reds and glittery pink for the boots that were a crucial staple to each outfit.